That sounds great, except I'm not handy at all and have no idea how I'd attach a bulb to the cage The cage retailer has options for pre-installed heat tape and RHPs which I'm hoping to use. But I guess an RHP is closer to a CHE than heat tape, right? I'm getting the necessary temps with just a heat pad at the moment, but I don't know if it'll still be the case when I get a much larger cage. At least I have plenty of time to think about it. Hello my friend.. Try not to over think things! Sounds like you are doing just fine with things!!! Are you going to move him into a bigger glass tank or plastic tub? I personally am using 28qt tubs for both of my Boa's right now along with heat tape. 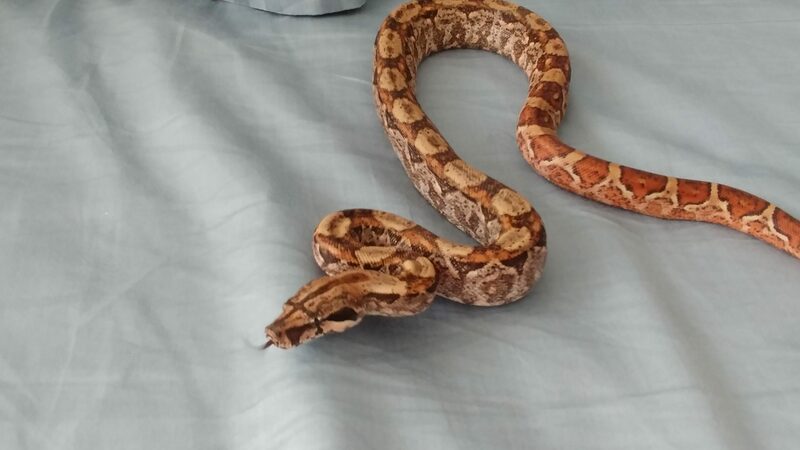 They have been thriving and have good sheds every time. 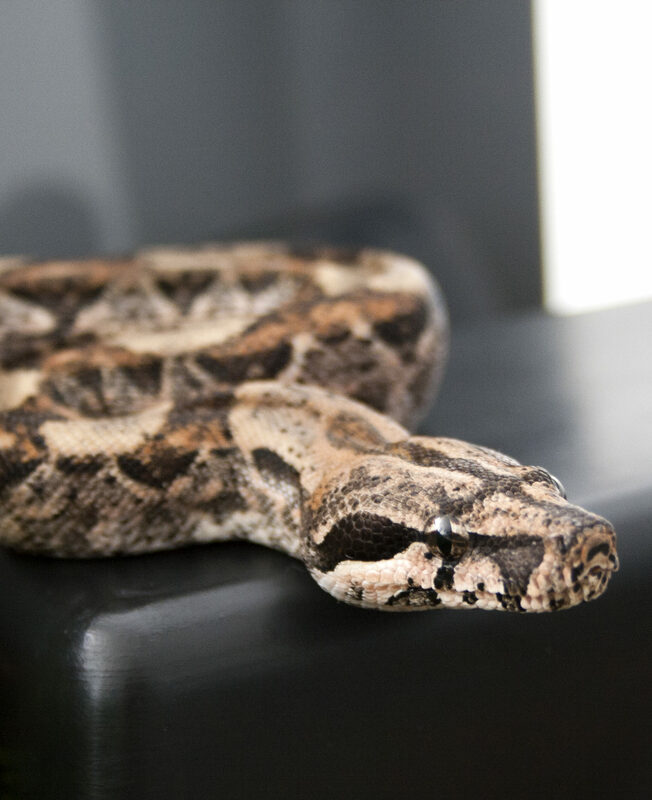 Remember, boas like a cooler temp and do not require high humidity. As long as you provide a proper size tub with enough space for him with a hide, water dish, appropriate substrate and good thermostat then he should be alright. I made plenty of air holes in my tub so that there is significant ventilation into the tub. Depending on the tub size, you could use 4" or 6" heat tape and I would definitively stick with the flex watt kind (which you can get from Dinos reptiles). I know it can get a bit confusing and a little stressful because you just want the best for your little guy and everyone has their own ways of doing things. Just take everyone's advice like a grain of salt. Just because one way may work for one person doesn't necessarily mean it will work for you. BTW, try to get out to the CRBE coming up in September.. it will blow your socks off! Last edited by Jus1More; 08-05-2018 at 11:45 AM. As you know his current tub is a bit roomy (since he's been eating fine I've left him in it), so I'm hoping to go straight to the PVC later, if that's too big I'll look into getting a divider or cluttering the heck out of it. I'm still working on getting the humidity lower, hopefully it won't affect him too badly in the long run (partly why I want to switch to a better ventilated cage). I'm leaning towards doing the heat tape if it doesn't need to be too warm in there, it'll be waaaaay cheaper haha. I tend to worry a lot and since Remby is my only snake I'm fretting over him quite a bit Thanks for bearing with me! And oh yes, I'm really hoping to go to that convention, I've heard it's the big one! It'll take me an hour to get there but I bet it'll be worth it! Small update: not much has been going on with Rembrandt, but he hasn't skipped a meal (on his 7th hopper with me now! ), and a few weeks ago he started to strike and constrict in the open - before he was pretty hesitant, and always went into his hide to eat. It was super exciting to get a peek at him swallowing, but for now I'm still leaving him alone to eat just in case. I hope he'll continue getting settled in! Last edited by caravaggiooo; 08-18-2018 at 11:07 PM. Thanks Richard! I think he's getting a bit bolder and exploring a bit more, I hope he'll show me lots of interesting behaviours going forward! also a low-quality wider shot, I'm liking his orange-y-ness more and more! I think he's gotten a bit thicker (belly to spine) but I honestly can't tell haha. Yeah it’s not cheap up front to do it the right way... but you’re set up for much better husbandry and mitigating issues that would more likely be encountered down the line had you not gone with nice thermostats and such. That boa of yours looks awesome btw!